Radiesse is safe, FDA-approved dermal filler that restores a natural, long lasting, youthful appearance. It can restore facial volume as well as correct moderate to severe facial folds and wrinkles, including nasolabial folds. Radiesse is made of unique calcium-based microspheres suspended in a natural gel that also stimulates your body to make new collagen. 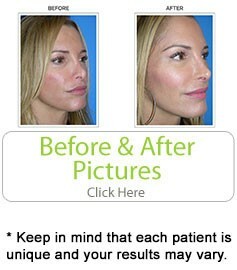 The results are immediate and may last a year or more in many patients. For more information on this procedure contact Dr. Salomon’s Miami office today at (305) 270-1361 or email us.